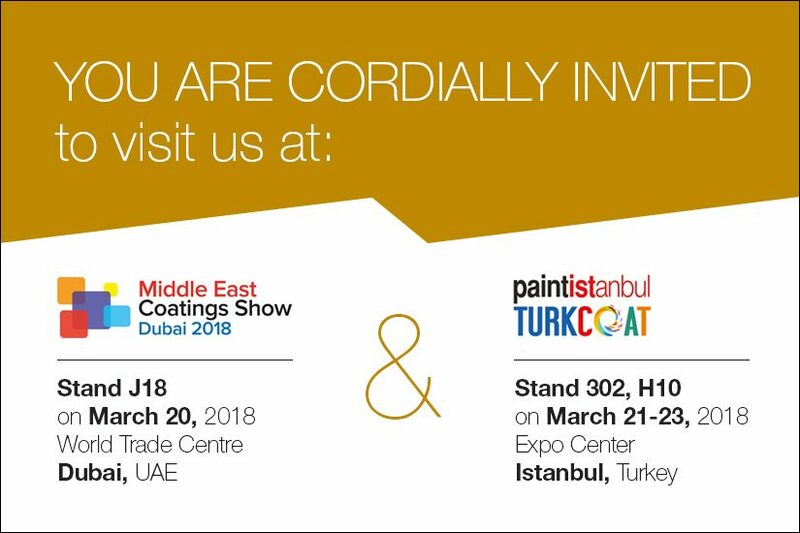 HELIOS RESINS is going to exhibit with its partners at the Middle East Coatings Show Dubai 2018 and the Paint Istanbul TurkCoat 2018. The MECS show in Dubai is the largest coating show organized in the Middle East region and is an important event for all coatings industry professionals, and the TurkCoat show in Istanbul is the leading exhibition of paint and paint raw materials industry. Both events are globally recognized and reputed in the industry for their track records in terms of the quality and the quantity of exhibitors and visitors. They bring together the leading companies of Paint and Paint Raw Materials Industry. Middle East Coatings Show Dubai 2018, Stand J18, March 20, 2018 in Dubai World Trade Centre, Dubai, UAE. Paint Istanbul TurkCoat 2018, Stand 302, H10, March 21-23, 2018 in Istanbul Expo center, Istanbul, Turkey.